Discover an excellent assortment of unique items for decorating your home or office in this category. We provide a wide range of Scottish and Celtic home decor items showing off intricate knotwork patterns, shamrocks, Celtic crosses, the tree of life, Claddagh designs, and other iconic motifs. Our Celtic and Scottish decor includes pieces like bedding, candle holders, ashtrays, incense burners, wall plaques, end tables, clocks, banners, mirrors, trinket boxes, and more. 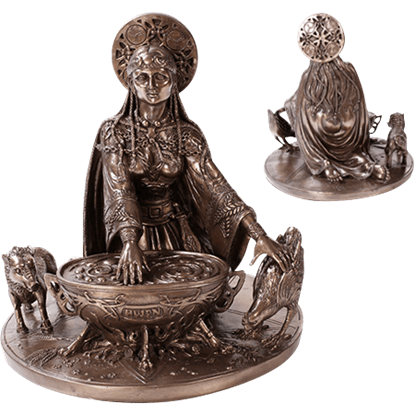 We offer a variety of Scottish and Celtic statues, as well, depicting characters from mythology like Brigid, Lugh, Cerridwen, Danu, and the Morrigan. Others display Celtic crosses, angels, and skulls in their designs. No matter what you are looking for, you are sure to find things of interest among our Celtic and Highlander decorations. 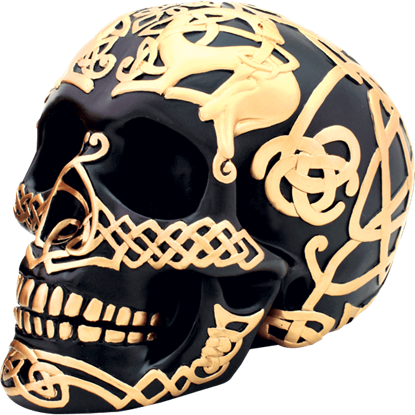 The seemingly ritualistic appearance of the Black and Gold Celtic Skull invokes both pleasant feelings that stem from its color scheme and feelings of wonder that stem from the mysteriousness of its design and the patterns on it. This sinister skull is one-of-a-kind. 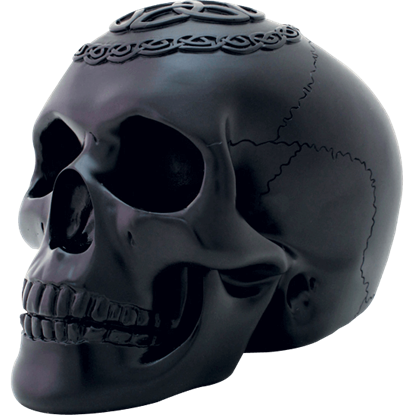 With its intricate detailing, this Black Celtic Skull looks like it could be an object of ceremonial power, as well as a nefarious ornament that any gothic host would have decorating their abode. 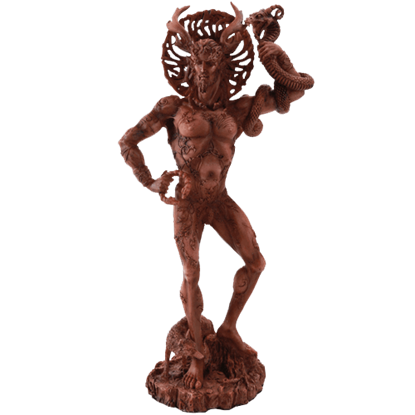 The Bright Cernunnos Statue displays the mysterious pagan god in exquisite detail, from the elegantly curving horns on his head to the runes and vines that decorate his body down to the forest floor base upon which he stands. Associated with ancient Irish myth, Brigid is patroness of many things, including poetry, medicine, spring, livestock, and wells. 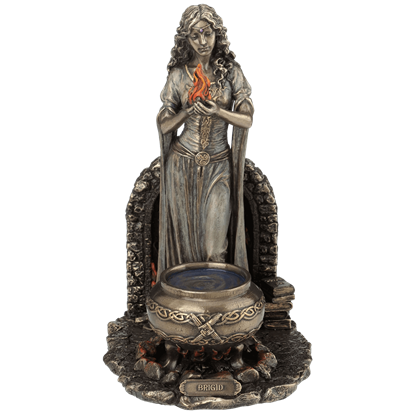 The Brigid Goddess of Hearth and Home Statue depicts the goddess holding flame above a large cauldron. Arianrhod is a goddess out of Welsh Celtic mythology, often known by the name Moon Mother Goddess. Representing fertility, reincarnation, and beauty, this Bronze Arianrhod Statue is a stunning depiction of this famed female deity. An enchantress from a medieval Welsh legend, Cerridwen is known among modern Paganism as the goddess of rebirth and the keeper of the Cauldron of Knowledge. 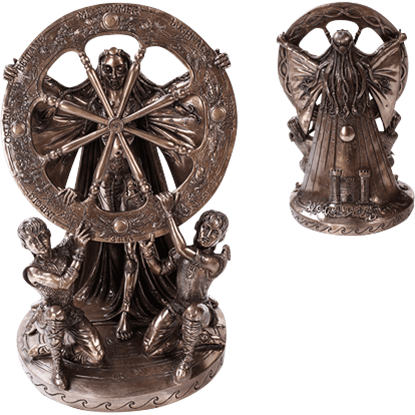 This Bronze Celtic Cerridwen Statue depicts this in a stunning decor piece. The Claddagh is a classic symbol out of Ireland that is known and loved by so many people around the world. 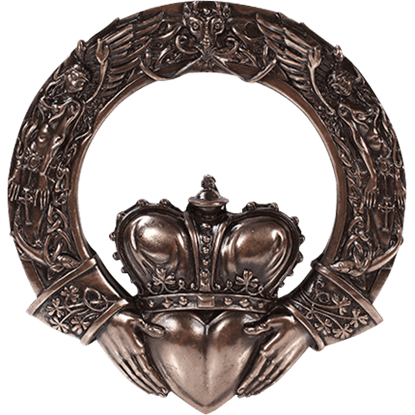 Represent love, loyalty, and friendship in your home in an eternally bonded circle with this Bronze Celtic Claddagh Plaque. Deep beneath the water, at the bottom of Lough Gur (Enchanted Lake) in Ireland, legend claims there lives a mermaid goddess. 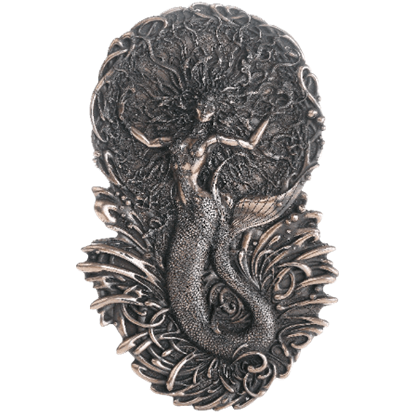 With the Bronze Celtic Goddess Aine Plaque, you can bring that unique and interesting legend to your home. 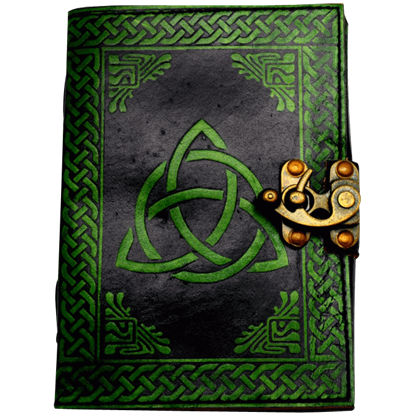 Brigid is one of the most memorable deities of Celtic history, mainly presiding over poetry, smithcraft, and healing of all kinds. 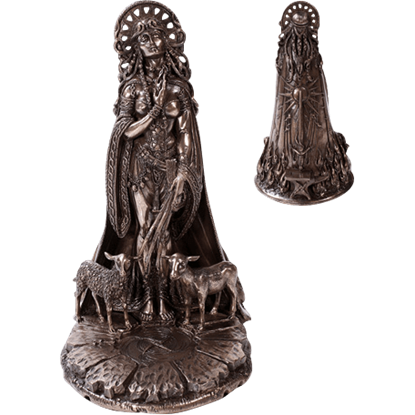 Own a gleaming depiction of this figure for your decor with the Bronze Celtic Goddess Brigid Statue. 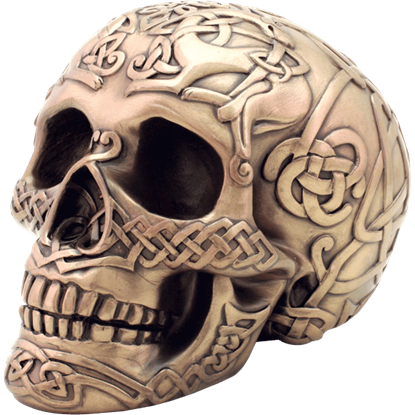 In a unique combination of Celtic artwork and gothic decor, the Bronze Celtic Skull will bring together two styles of decor that you would not imagine go together. 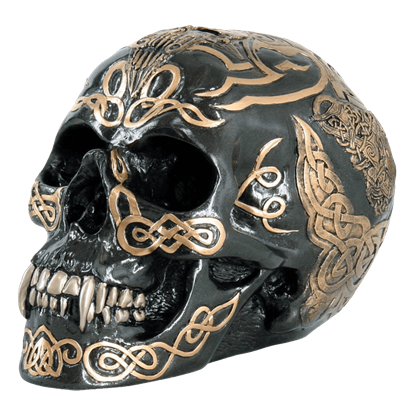 Whether you like Celtic culture or skulls, you need this statue!